The Saving Lives program has broadened its activities to reach outside the church and into the classroom and the community. 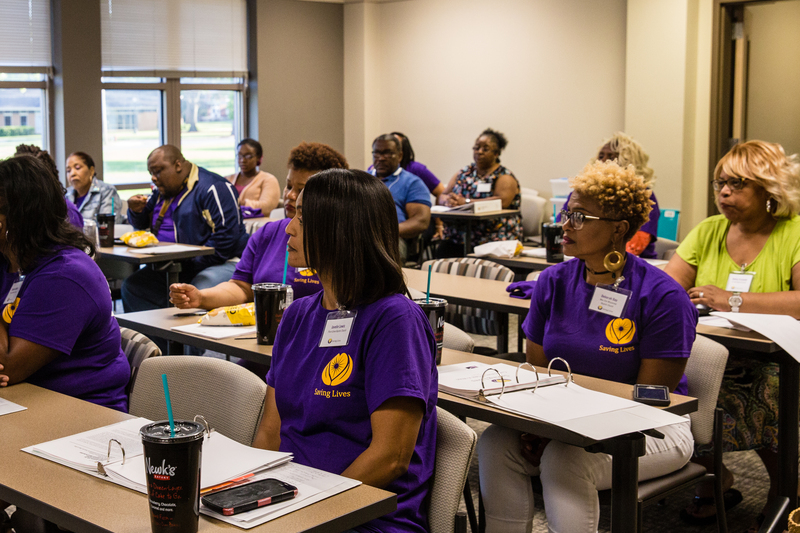 What started as a program to teach members of area African American churches about health disparities and ways to combat chronic problems like hypertension and diabetes has expanded to include training church members to be leaders in health advocacy. The Savings Lives Academy provides a complete curriculum to teach church members ways to improve their physical, mental and spiritual life, while simultaneously helping others. “It’s not often that you have the opportunity to put hands and feet to a vision that has already been established,” said Dr. Nicole Prewitt, director of programs and partnerships for the Center for Community-Based Partnerships, an initiative of the Division of Community Affairs at The University of Alabama. “What is so awesome is that this vision was started years ago. I have had the opportunity along with others to bring to life this idea of an academy to prepare advocates to work with member churches to improve overall health and wellness,” Prewitt said. 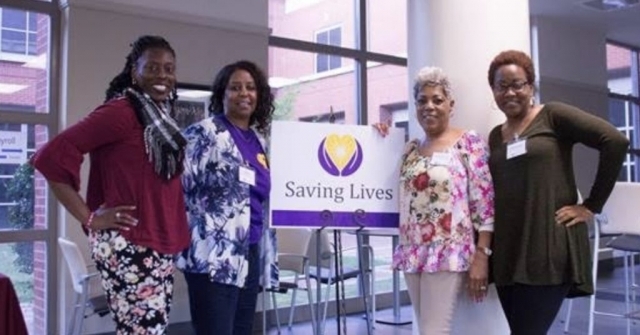 Savings Lives is the creation of Dr. Samory T. Pruitt, vice president of community affairs, and Carol Agomo, director of community and administrative affairs, and has continued to gain momentum since its inception in 2012. The academy concept began with Dr. Prewitt at the helm in March 2018. Members were asked to come up with ideas about the unique ways individual churches can have a lasting impact on the communities they serve. During each meeting, the group fellowships with one another over a healthy meal and then come together to learn information which will be shared with their church members, as well as members of their communities. During the Saving Lives meeting held June 5 in Capital Hall, participants had an opportunity to complete CPR training and be taught about health using scripture and dialogue. “We know that wellness is much more than not being sick. 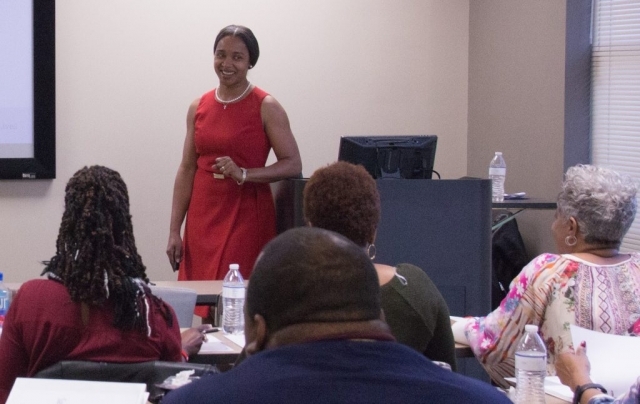 Wellness is an active process which balances complete physical, mental and social well-being,” said Rosalyn Robinson, a CCBP graduate assistant who is a doctoral student in the executive higher education program. Robinson talked to the group about mental health, particularly depression and anxiety, using several scriptures as reference points to guide her lesson. During the discussion, members discussed being anxious about health-related tests and cancer scares, and shared the peace they found in prayer and the importance of being able to have peace of mind in the face of adversity. Having already met several times this year, the latest session was focused on coming up with a plan for their community engagement project. Members shared ideas and discussed ways to design the project and facilitate their plans. “We have decided to have a program to discuss living wills, advanced directives and hospice care,” said Shelia Lee, a member of Mount Pilgrim Baptist Church. Each team will receive Academy support to implement at least one community engagement project (church health event) during the window of June–August. Each community engagement project must: 1) address a need identified by the church; 2) include at least one portion of the Saving Lives trilogy (provide health-related information, increase knowledge about healthier eating, promote healthier physical activities); 3) have pastoral support for implementation; 4) involve organizations or representatives from the public health community; 5) receive program evaluation and evaluation support offered by the Saving Lives network. Prewitt, who has overseen the program’s transformation, provides reassurance and encouragement for the participants to develop project goals and objectives for the engagement activities, while providing hands-on support for the members. “Tonight we will think about that idea, develop some goals related to your research, and identify your partner, and then begin the planning,” Prewitt said to the group of about 25 attending the June 5 meeting. One church, she said, is partnering with other churches in the area to plan an Alberta City Community Extravaganza on July 14. “We are having a community block party from 9 a.m. to 5 p.m., with a health fair and a kids’ zone,” said Kevin Croom, a member of College Hill Baptist Church. Participants expressed their appreciation for the program, saying they gained knowledge through the interaction with each other and from the facilitators, just as they do when attending church. Other participants said the program has encouraged them as a church body to provide valuable information in addition to inspiration for their congregation. For more information about the program visit: http://ccbp.ua.edu/saving-lives/.